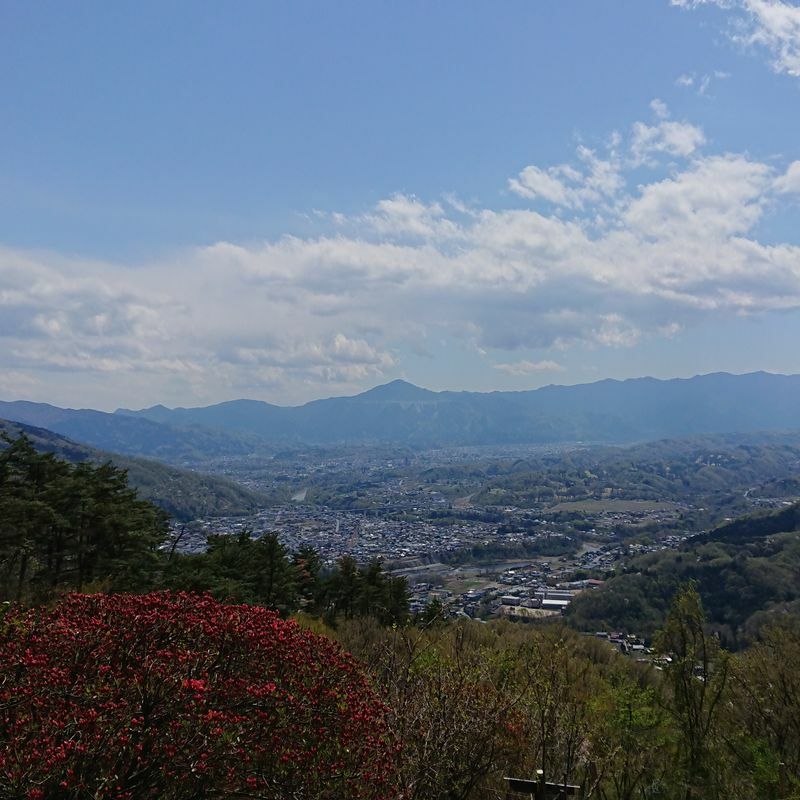 View of Chichibu from the top of Hodosan. 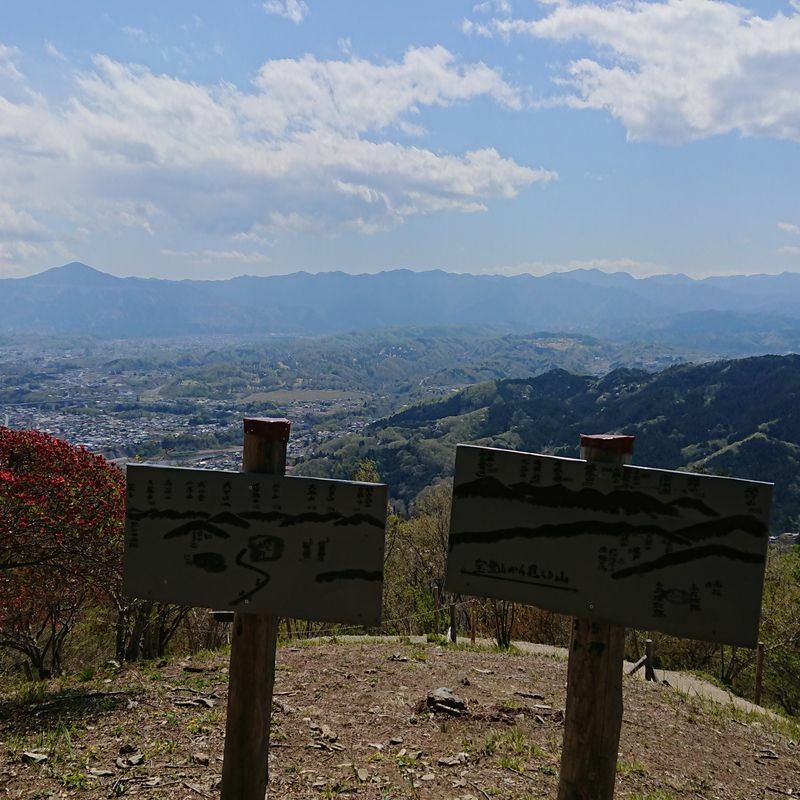 The peak in the center is Bukou-san, the highest peak in Chichibu. 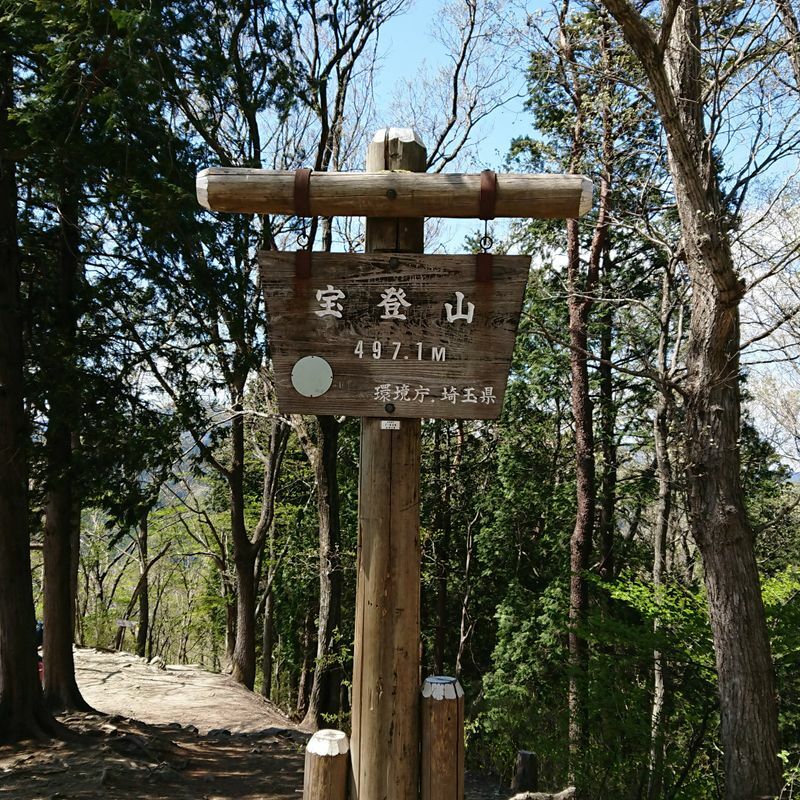 On an early April Sunday, my hiking partner and I headed off for a hike in Chichibu. 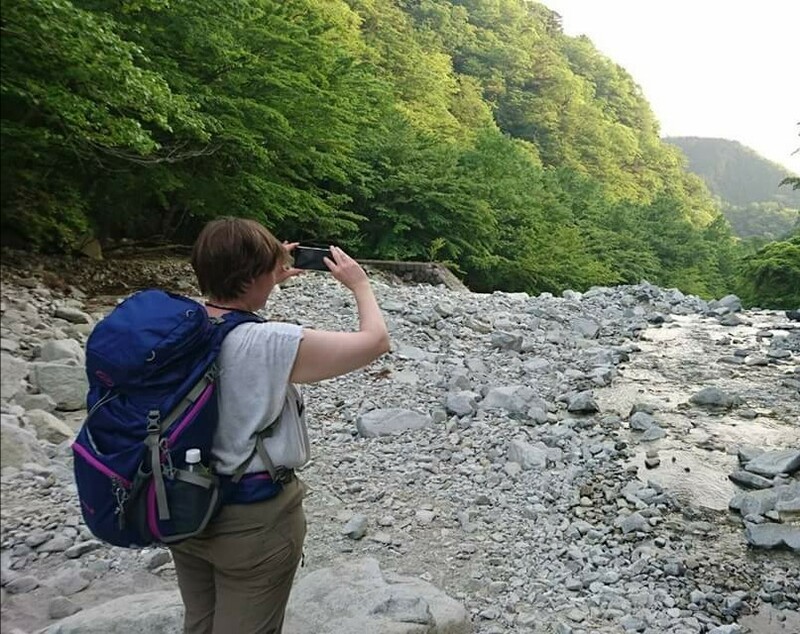 We were bound for Hodosan, which had long been on our to-hike list. Despite it being a Sunday with perfect weather and cherry blossoms still in bloom, we found the trails to be pretty quiet. 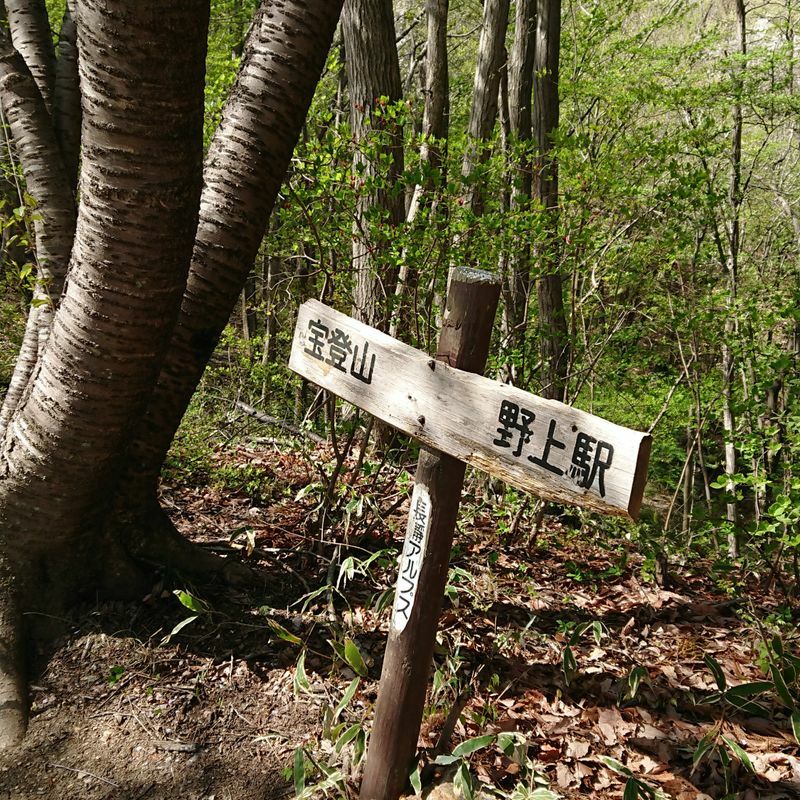 The hike is between 8.5km and 9km, and the mapped time is about 3.5 hours. I think my total walking distance for the day was about 11.5km and, including time to stop for lunch, snacks, take a lot of photos, shopping, etc., it was an all-day affair. 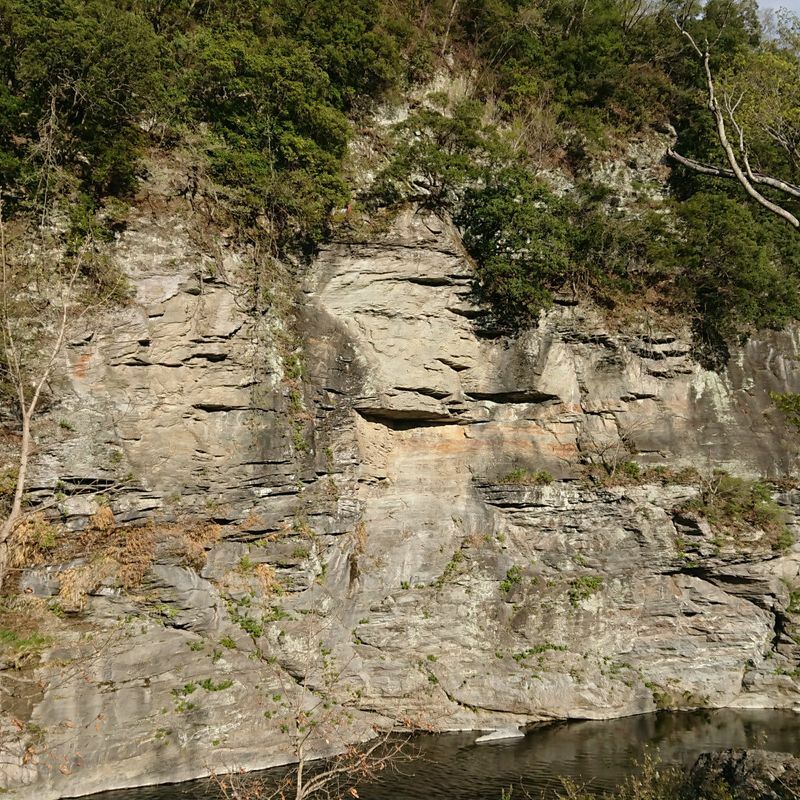 This hike is not technically challenging, and is pretty gentle over all. 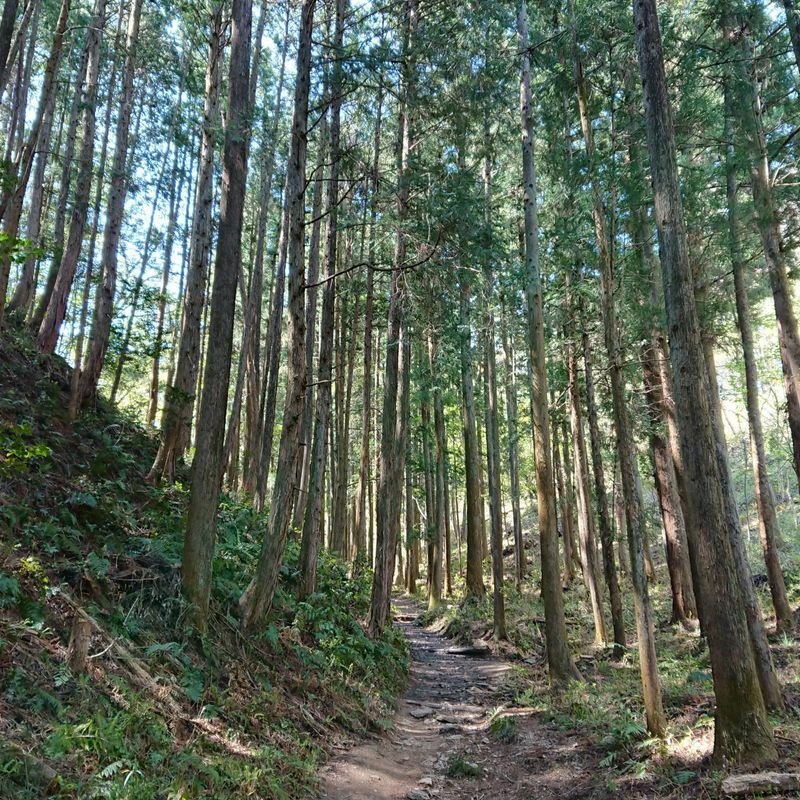 The top elevation is only 497.1 meters making it 100 meters lower than Takao. 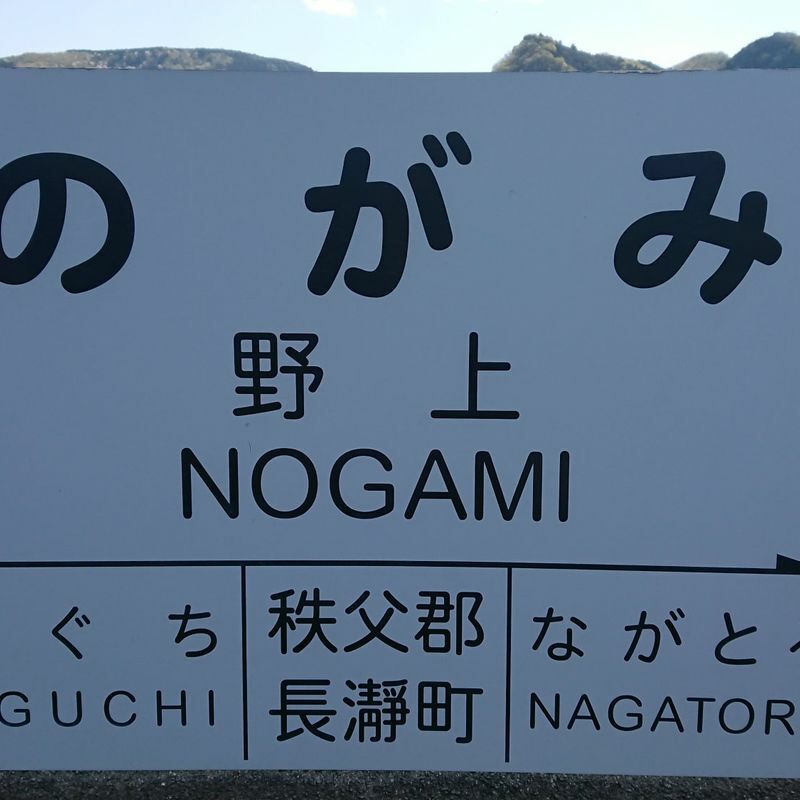 We started at Nogami Station, which is on the Chichibu Railway line. 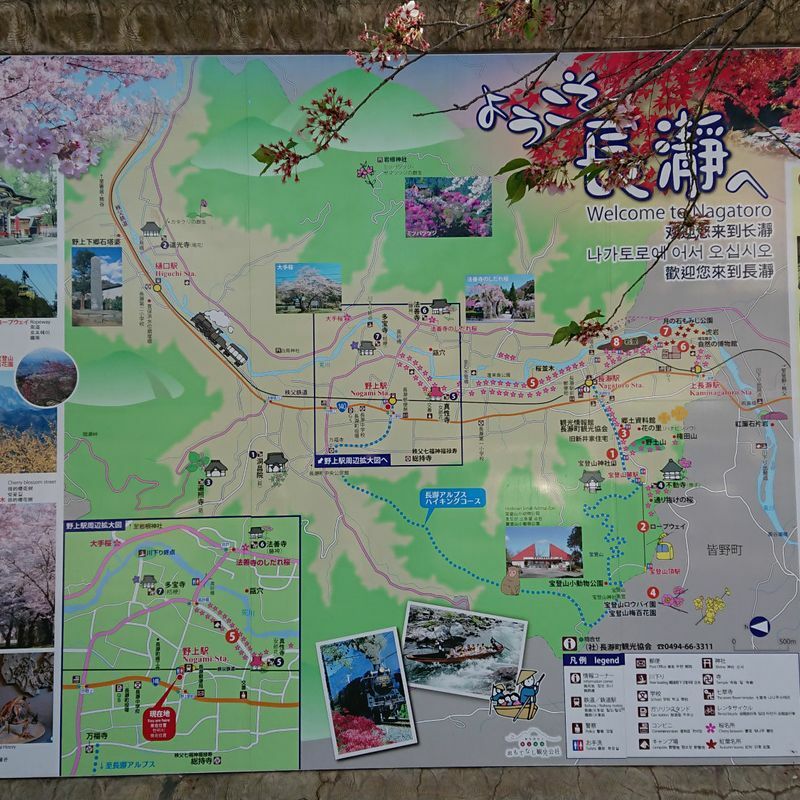 To get to the trailhead, we headed through a mixed field and residential district bound for Manpukuji Temple. The trail head is just down the road from that temple. Next to the temple was a new, very nice toilet. After a brief stop there and then a brief visit to the temple, we continued to the trailhead and onto the hike itself. The turn at the temple leading to the trailhead. The toilet. The trailhead. 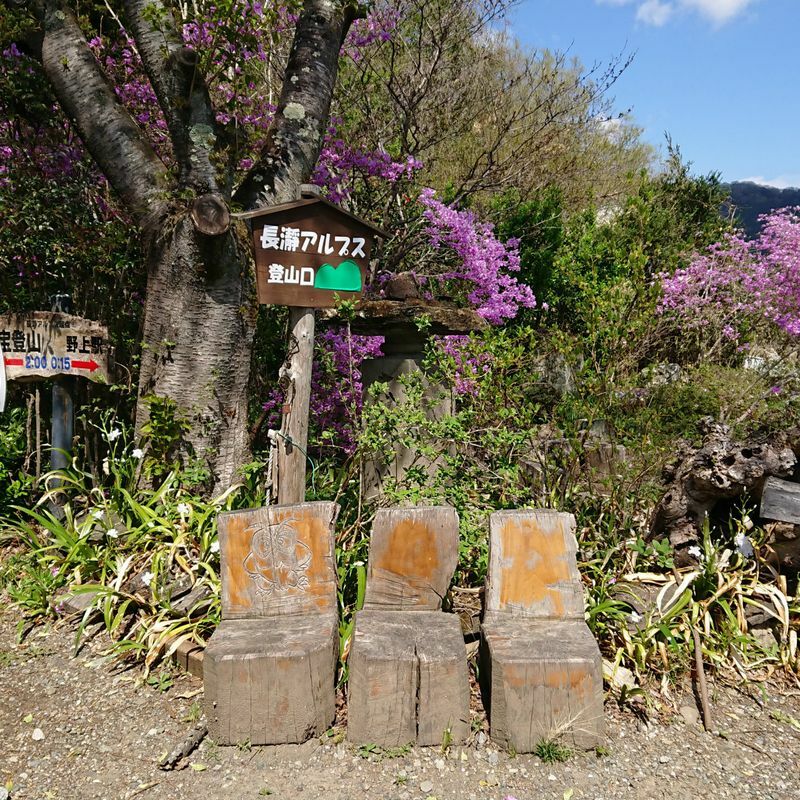 The trail leads up into the forest on the left of these signs and chairs. The hike was not challenging. It is a ridge hike, so there was a bit of a climb up to the ridge, followed by ups and downs along the ridge. 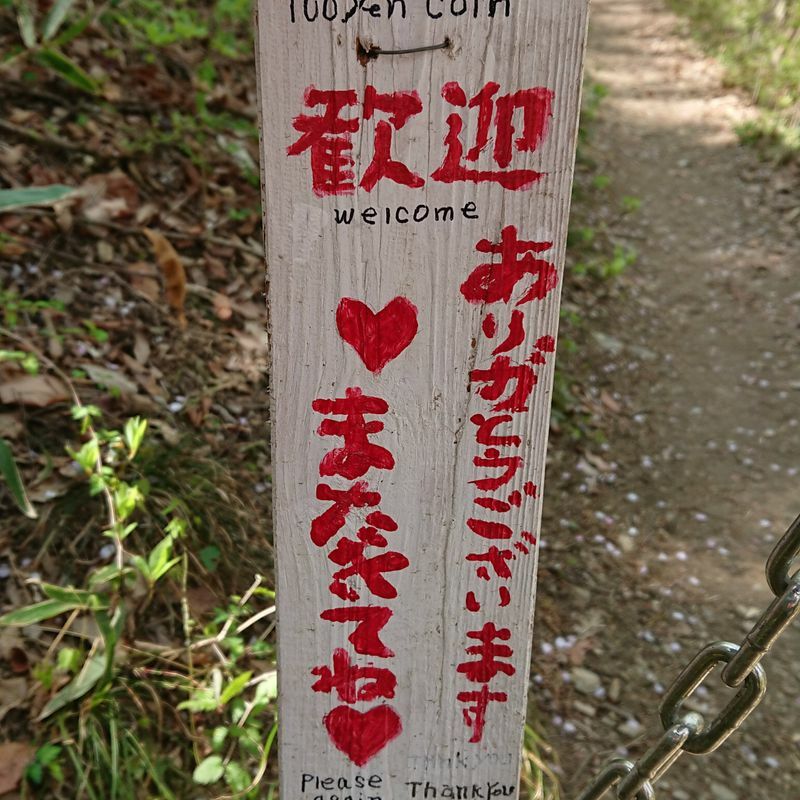 The trail was well posted in Japanese. 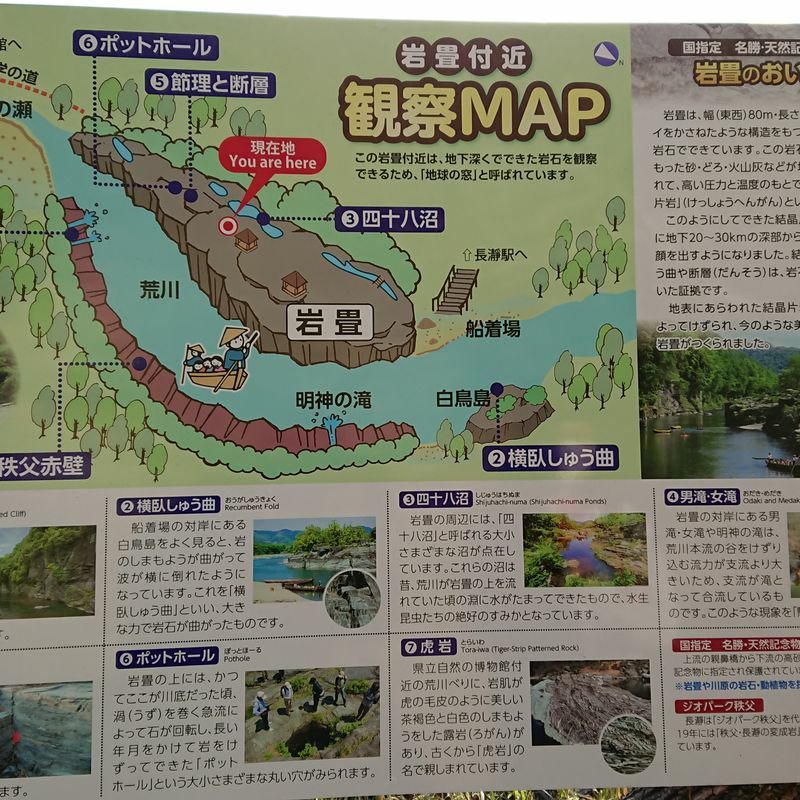 If you are able to read, or at least match kanji, you will have no problem following the route (though, of course, bring a map just in case). 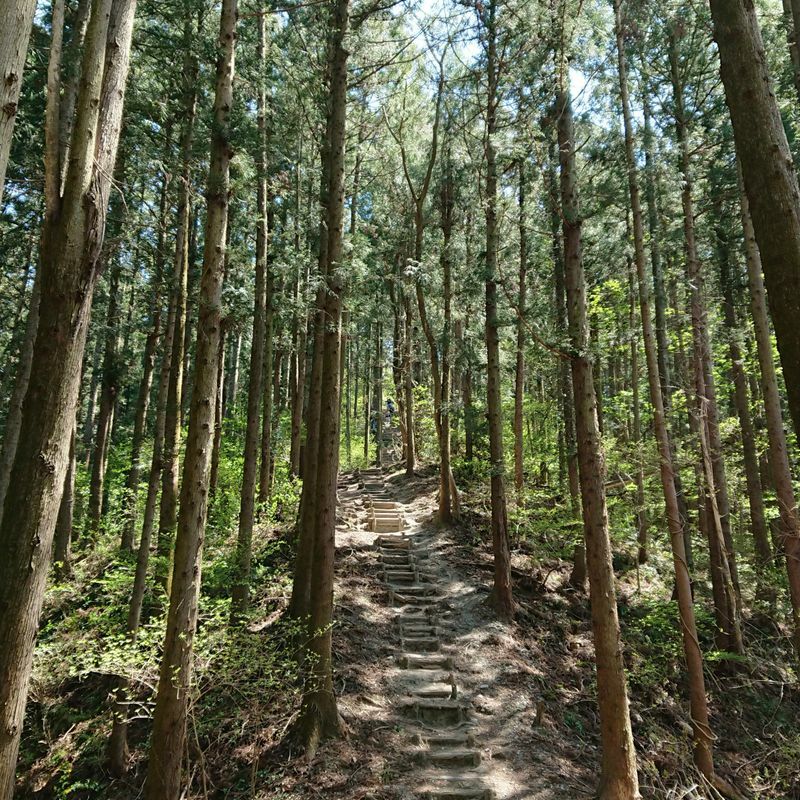 The trail is also well maintained. Along the way, at one point, we came to a box requesting that we pay ¥100 to continue. We both paid the money. This is on the honour system. The collection box. Close-up of the sign on it. Apparently, at least part of the hiking trail is on private property. I may be wrong on that. 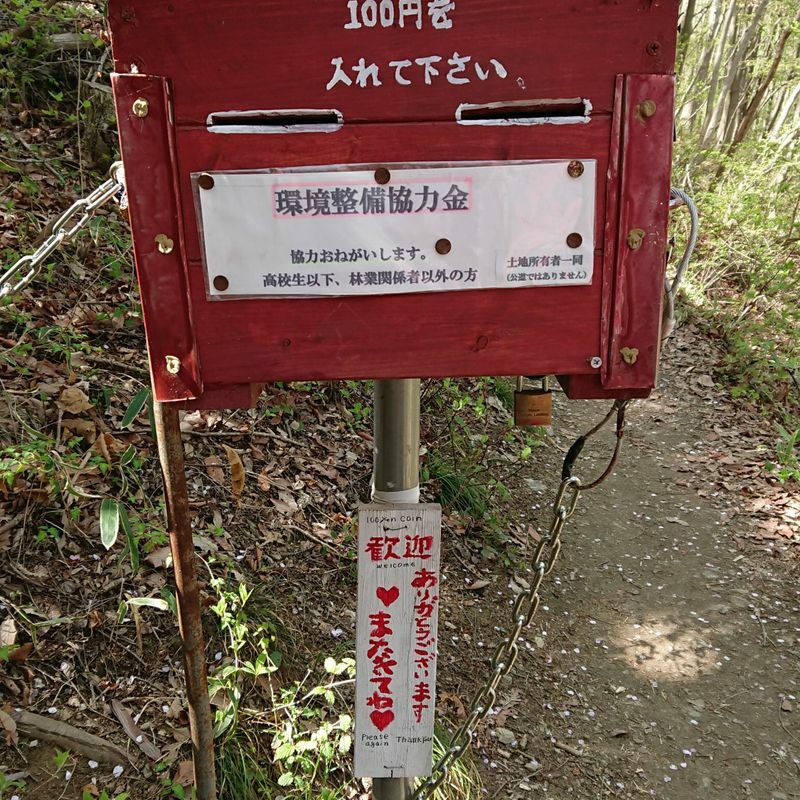 When we were at this collection box, a local man happened to pass us and explained about the trail, the mountain, and some of the history of Chichibu. I tried to follow as best I could, but only caught a very little bit of what he said. He did say the hike was a pilgrimage. Hodosan, the mountain, is home to Hodosan, the shrine, which we would see at the end of our hike. Hodosan is one of the three major shrines in Chichibu. 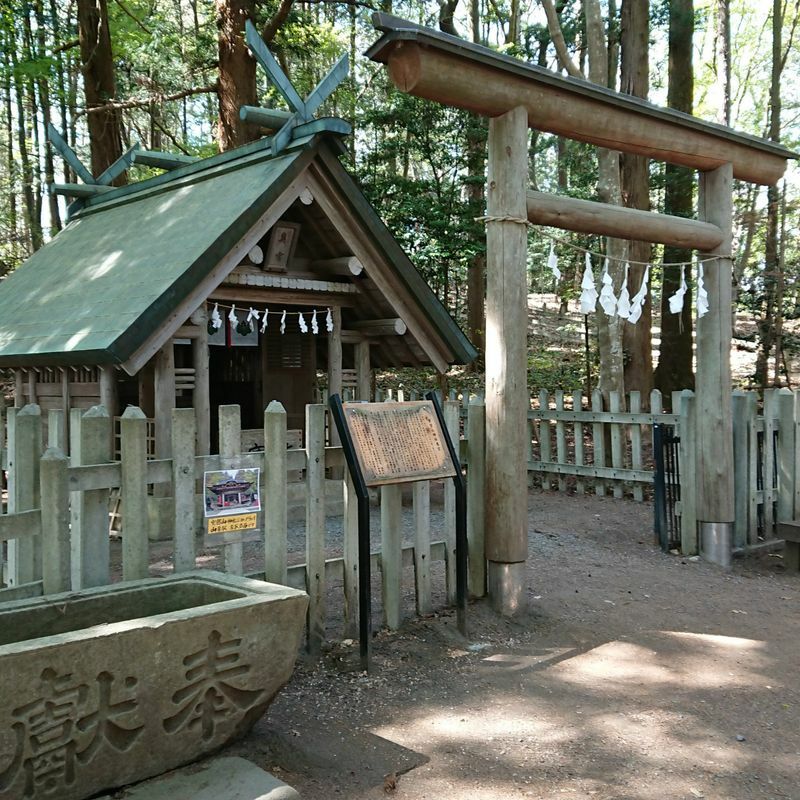 The other two are Mitsumine Shrine and Chichibu Shrine. We continued on. As we neared the top, we hit a steeper section with a number of stairs. Pretty soon after the stair section, we were at the top. We had our lunch at the top on one of the benches. There were other groups of hikers, but it was far from crowded. I was a bit surprised given the beautiful, though a bit windy, weather. 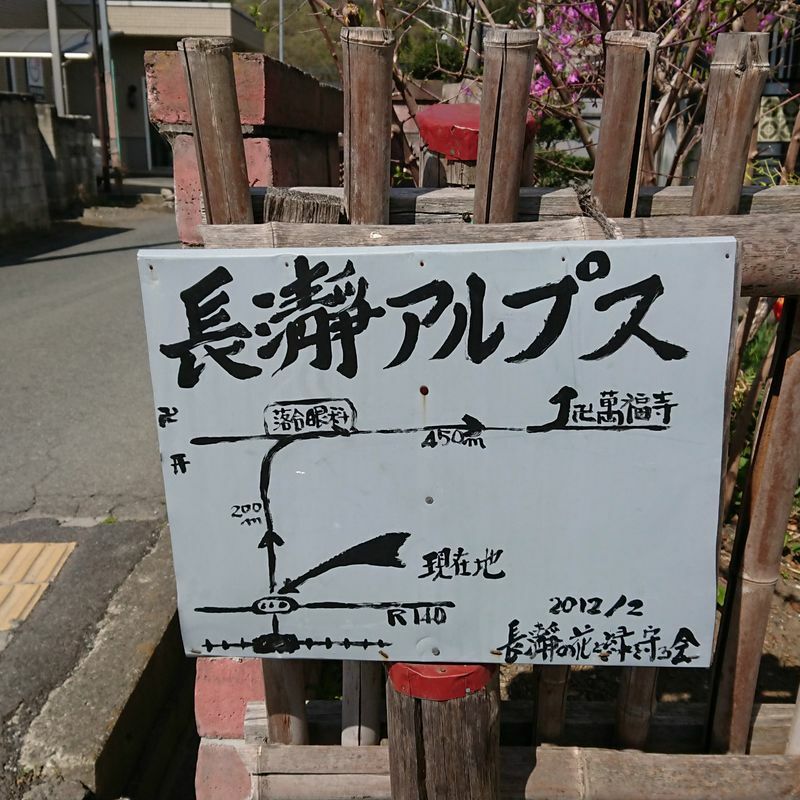 After lunch, we began our descent towards Nagatoro Station. Just after the peak, there was a small shrine and two small shops selling snacks, "memorial" pins, incense, and other such things. The shops at the shrine. Note the old Fanta sign on the shop on the right! Our descent took us past the cable car station where there was a restaurant, toilets, and a small garden. 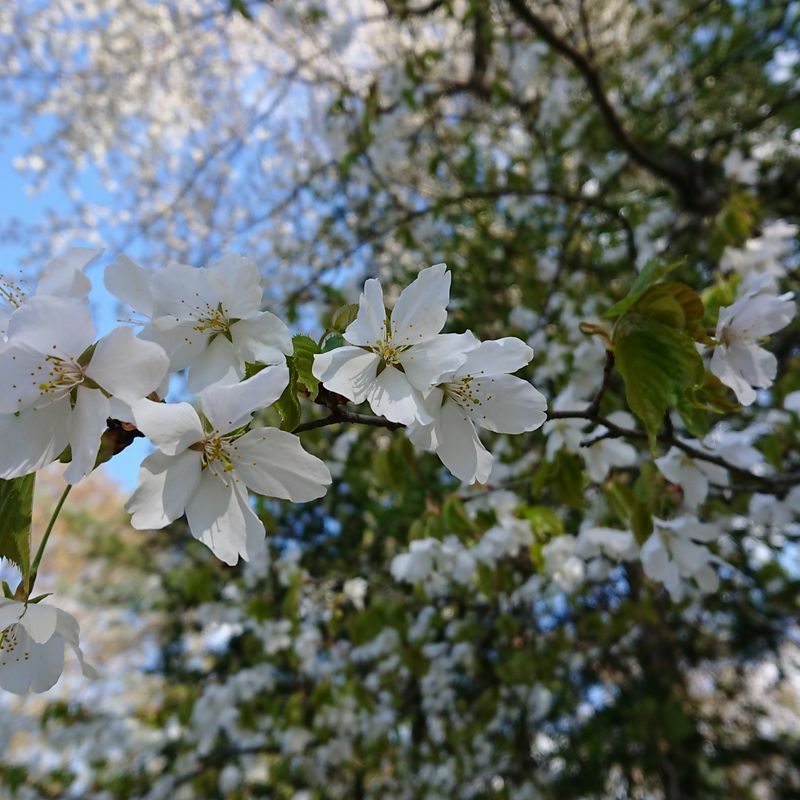 There were many trees in bloom as well in this area, including cherry trees. Much of the way down from the cable car station to Hodosan Shrine, we were on paved road. It was a relatively gentle descent through the forest. I prefer paths, but it was still quite lovely. 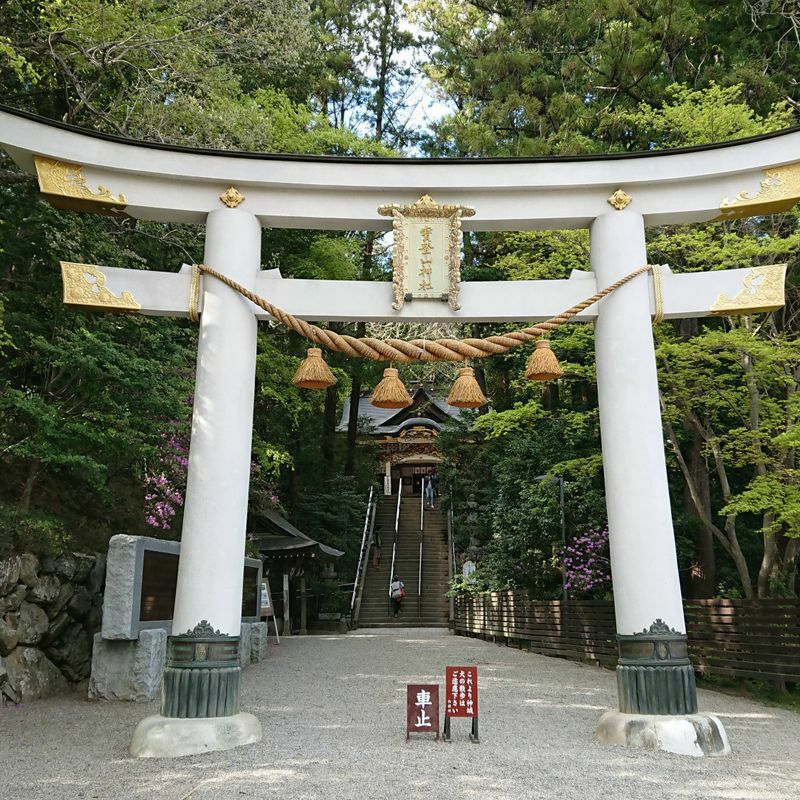 At the bottom of the mountain, we arrived at Hodosan Shrine. We first stopped at the shop in the parking lot for a snack. 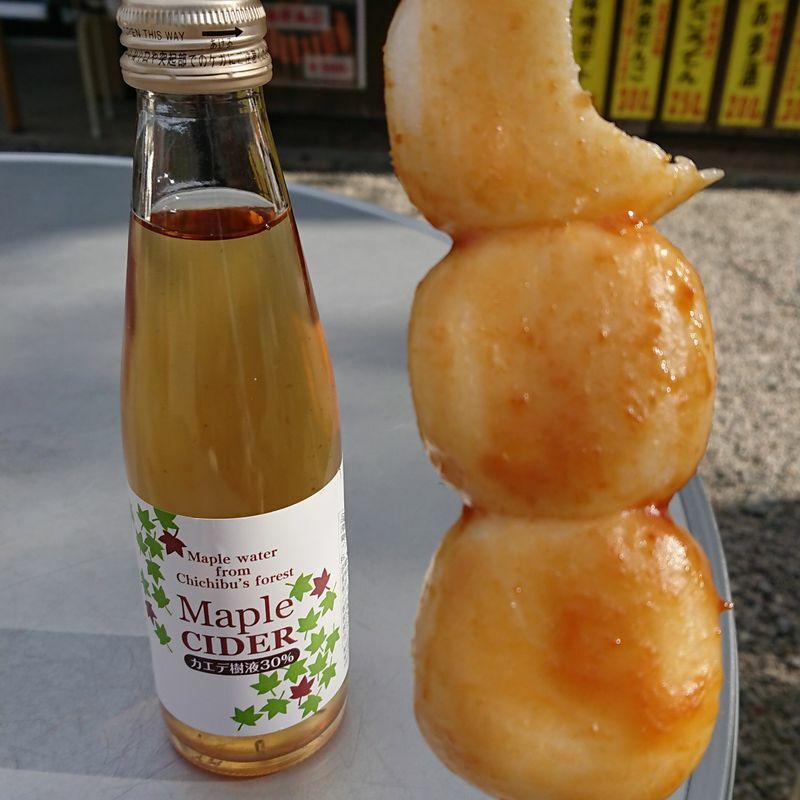 We both had dango, and I had a maple cider to go with it. 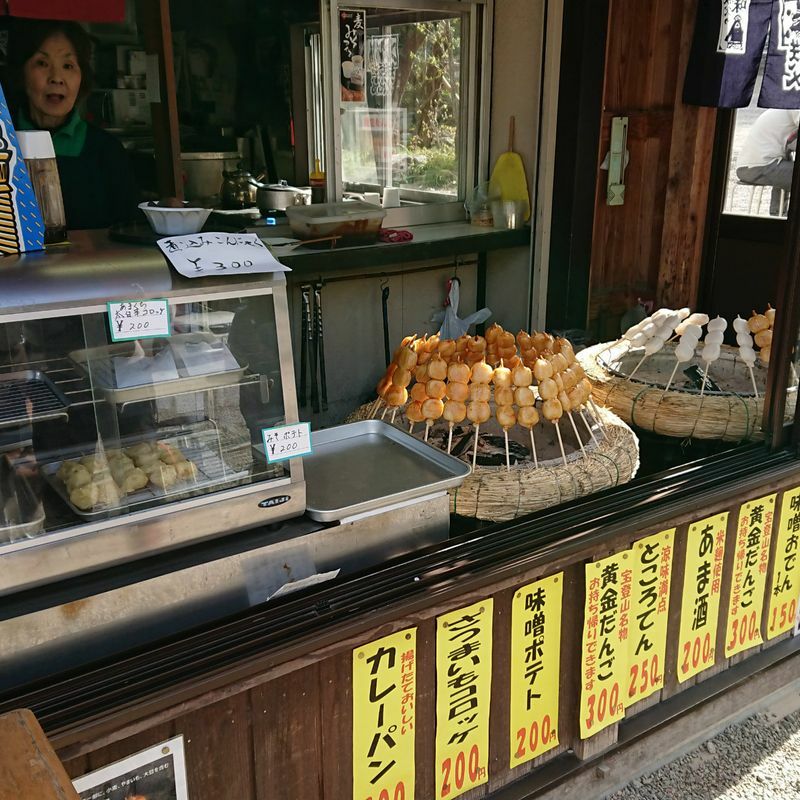 Maple Cider and Dango. I was hungry, and forgot to wait to take the photo. I had never seen maple cider before. It was really delicious. It tasted like maple syrup. It was a light taste, though, and not sticky like what one puts on pancakes. 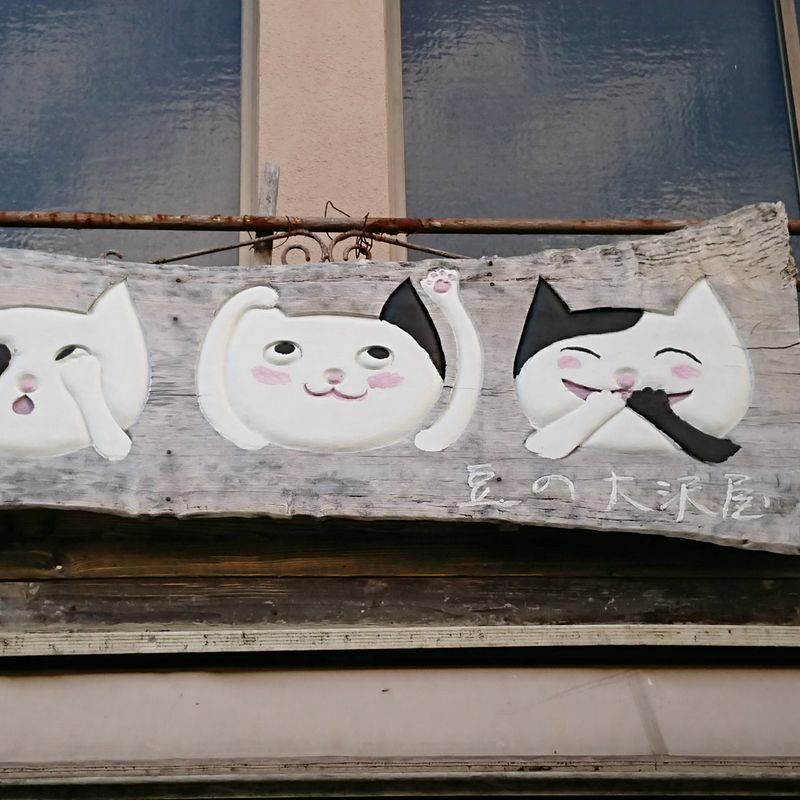 I would recommend it, and the dango! 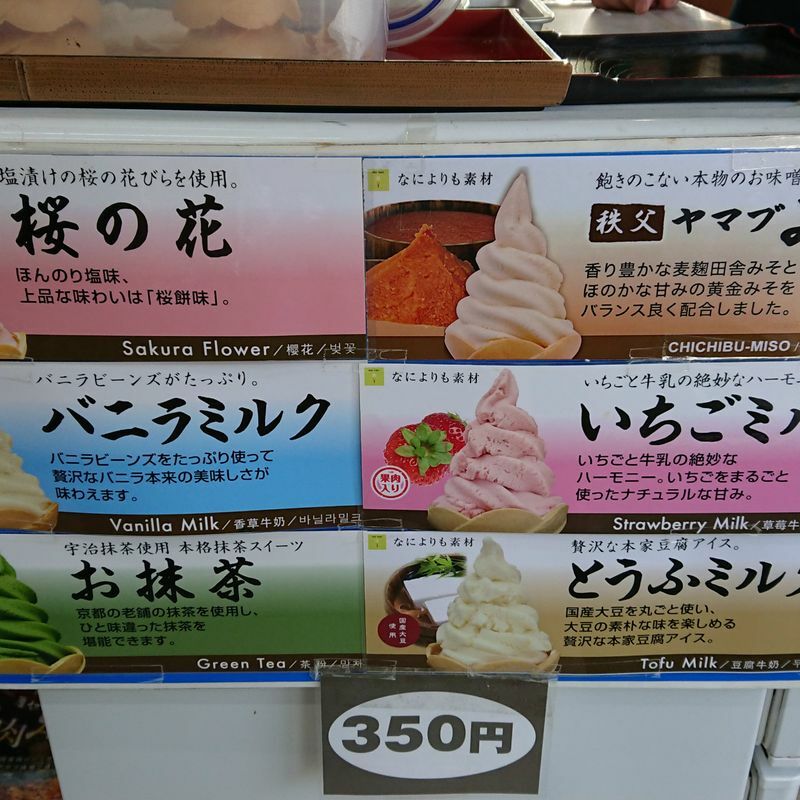 If soft cream is more your post-hike style, the shop had that as well, including some unusual flavours like cherry blossom, miso, and tofu milk. Soft cream flavours on offer. After our snack and a brief rest, we explored the shrine. It was really very beautiful. 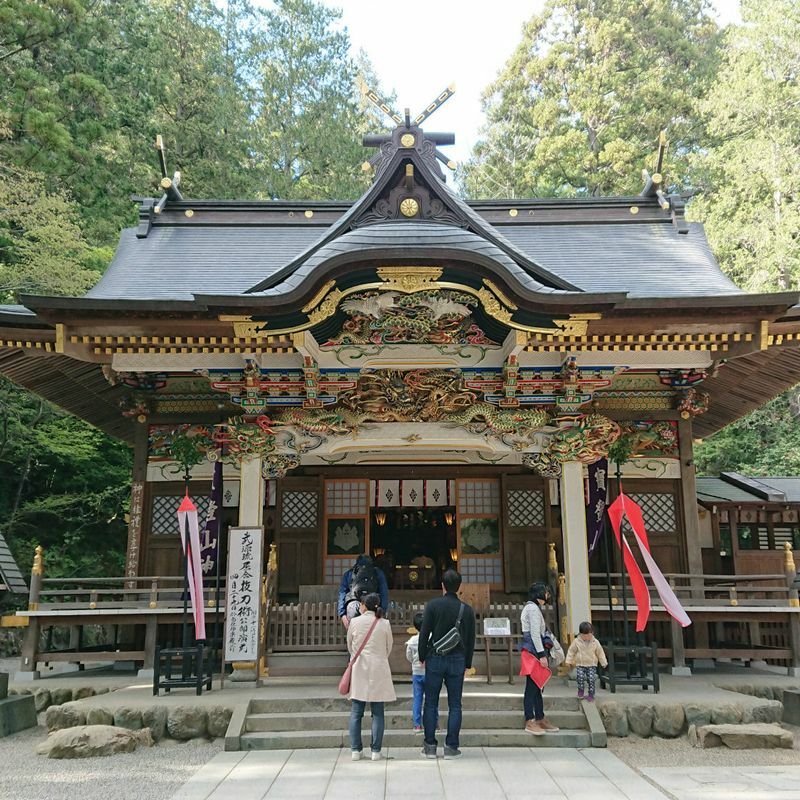 Three main gods are enshrined here: Emperor Jimmu-sama, the first emperor of Japan, a fire deity, and a mountain deity. The shrine was founded in 110 A.D., but the current buildings are newer. 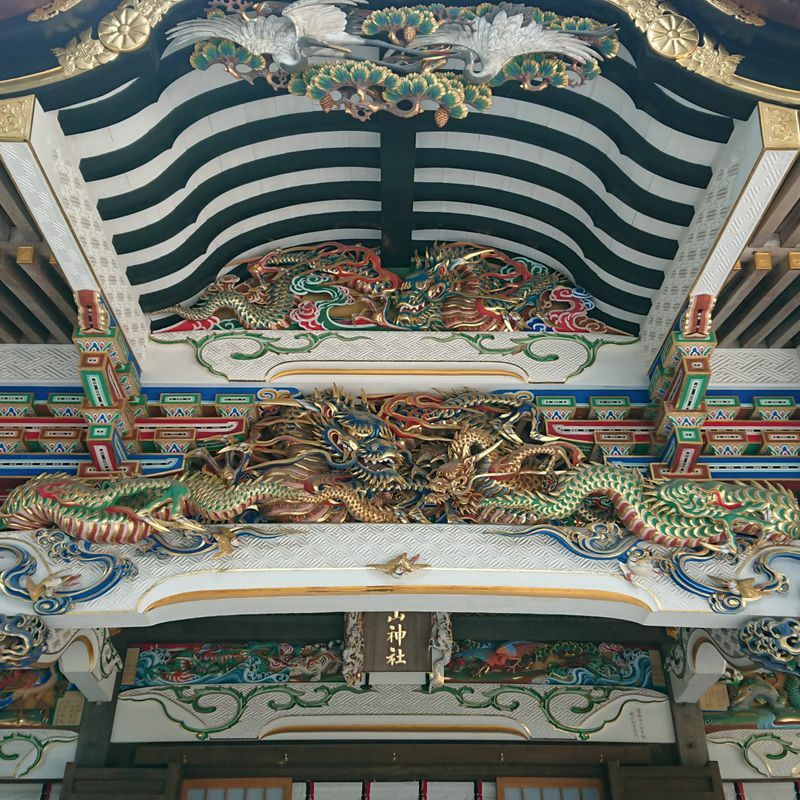 They were renovated during the Meiji Period (1868-1912). The carvings are very detailed and colourful. 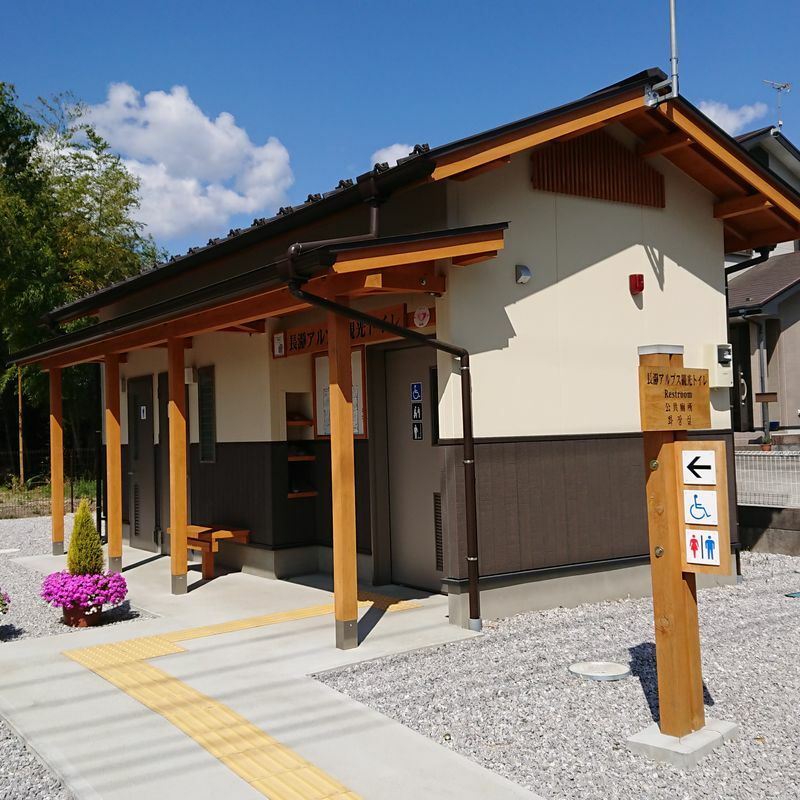 After having a good look around the shrine, we headed to Nagatoro station which was about a 15 minute walk from the shrine. 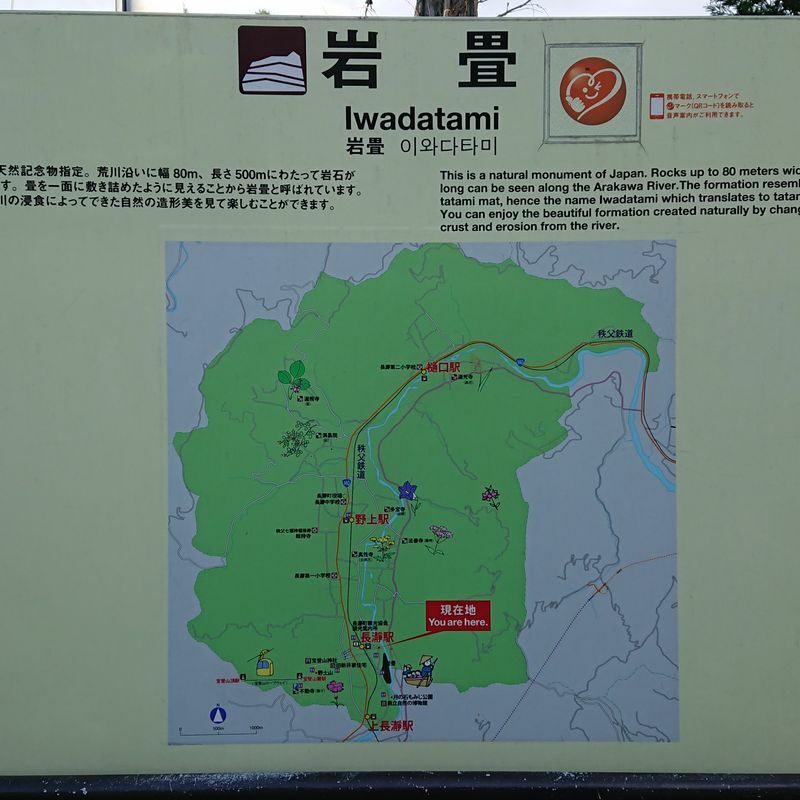 Since there was still some time before it got dark, we walked past the station another 10 minutes to visit Iwadatami, famous rock formations on the Arakawa river. Shops line the street down to the riverside, and once at the river, there are boat tours available. We decided to walk along the rocks. We did not, since it was later in the day, walk the whole distance along the rocks, but did go about halfway before turning back to the station. After returning to Nagatoro station, we got on the Chichibu Railway and headed back to our respective homes. I love the Chichibu Railway. 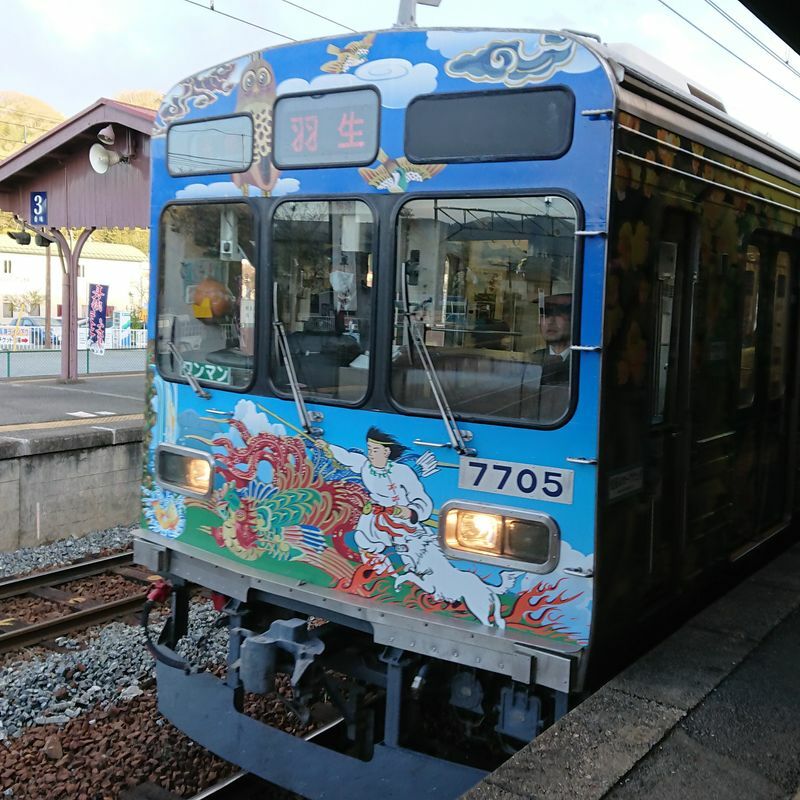 The trains are some of the most decorated I have seen in Japan and I really enjoy them. Great recap and pictures! The maple cider sounds delicious! @genkidesu Thank you! :) It was really delicious! 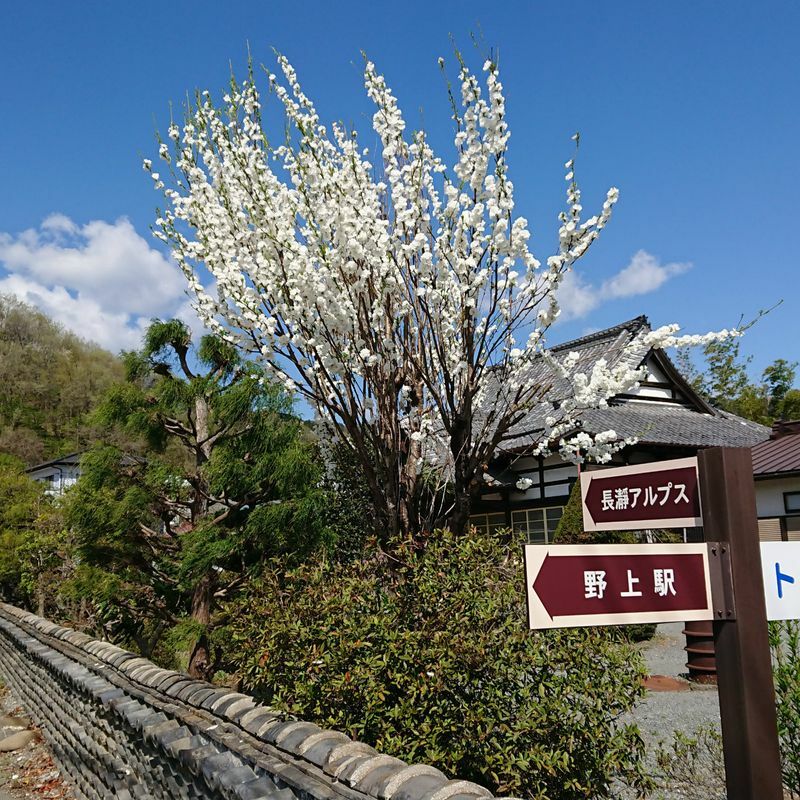 This is amazing :-O I did not know the first emperor of Japan is enshrined in Hodosan :-o I was just up there this past weekend and have been writing about it, but omitting this important detail. 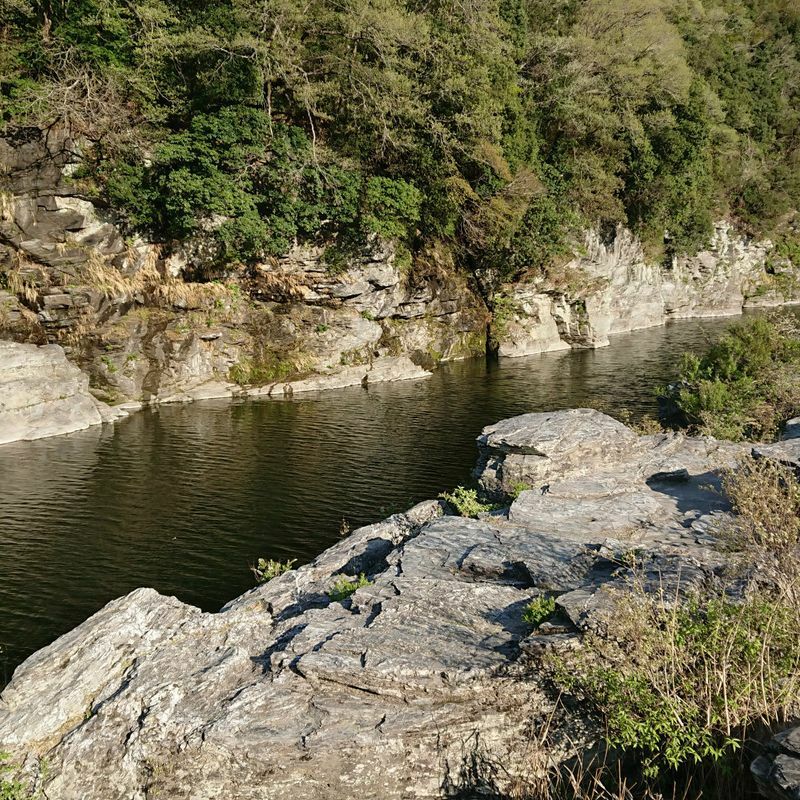 Thank you so much for sharing such a detailed post about your experience and the area.